Solar farms need three things: sunlight, photovoltaic panels and a huge expanse of land. It's the third in that list that's hampering green efforts in countries like India, where space is scarce and therefore very expensive. 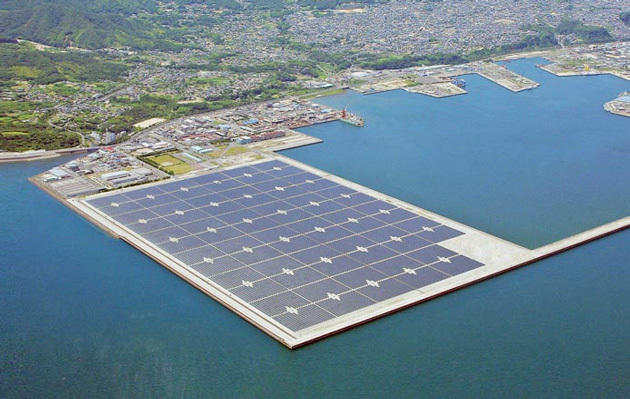 That's why India is copying Japan's (pictured) idea of building floating solar farms out on the water, saving a fortune in land costs and helping to prevent evaporation in the hottest months. A partnership between India's national hydroelectric company and Kolkata's college of renewable energy plans to build a 50 megawatt floating solar farm -- one of the world's largest -- at some point in the future. Before that, however, a small pilot project will be constructed in a lake in Kerala in south-west India later this year which is expected to generate around 12 kilowatts of power. While we can't cover all of the world's oceans with solar panels, it does seem like a clever fix while scientists continue to work on the supercritical steam issue.